At Valentine Motor Company we pride ourselves on our handpicked inventory, to ensure the utmost quality and standard of vehicle offered to you! In addition to that most all our vehicles come backed with extended warranty, ranging from 1 month / 1000 miles to 60 months / 60000 miles. 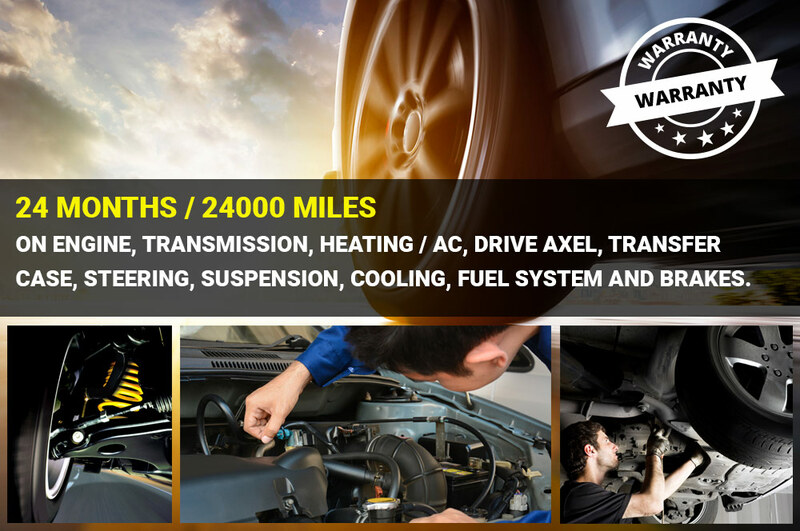 We have extensive range of warranty programs available depending on your needs and the type of vehicle selected, below is just a small sample of vendors and coverage. Please come by and see us today for more information.